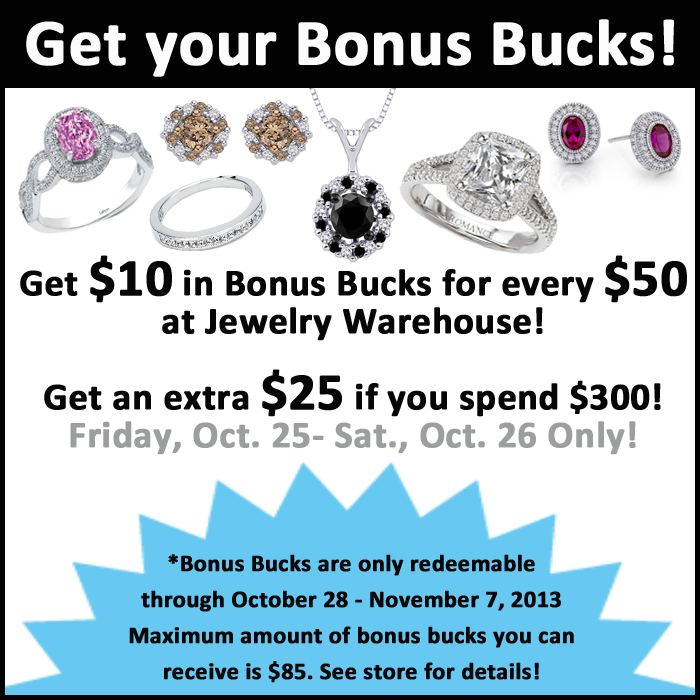 BONUS BUCKS are only redeemable through October 28 – November 7, 2013. This offer available in-store only. Bonus Bucks can only be used in-store only, not online. See stores for details! Hurry in today! Offer is good today and tomorrow only! This entry was posted in Jewelry, Jewelry News and tagged bonus bucks, columbia sc, Jewelry, jewelry warehouse, south carolina. Bookmark the permalink.